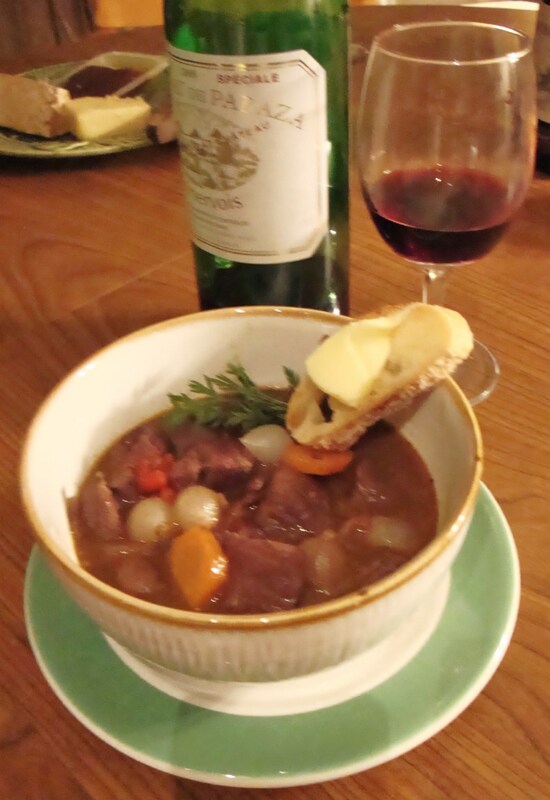 The new Le Creuset has been officially christened in what seemed the most appropriate manner possible–with a batch of Julia Child’s Boeuf Bourguignon. 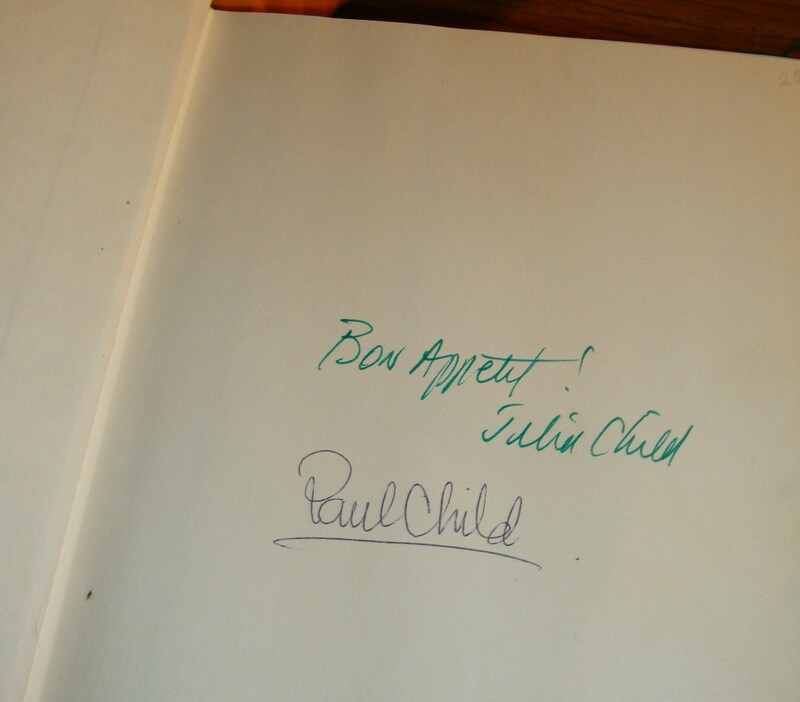 (Extra points for authenticity by using my autographed copy of From Julia’s Kitchen). Oh dear, Julia, all those years you spent testing recipes continue to pay off decades later. They always work perfectly. Probably didn’t hurt that with Kate’s assist on a slow NYC weekend, we took the time to follow every step to the letter, and used a roast from Wiklow Orchards in the Hudson Valley that was so beautiful and tender we could have used it for carpaccio. The only exceptions: substituted frozen pearl onions for fresh, but we think Julia would approve of that modern convenience; used homemade chicken stock from the freezer in place of beef broth, but again, think Julia would appreciate such a frugal move; served it without the planned noodles, because we just couldn’t wait any longer. And we named her—the Le Creuset, that is—Liça. What, you don’t know any children with creatively spelled names?